A healthcare proxy is a document (legal instrument) with which a patient (primary individual) appoints an agent to legally make healthcare decisions on behalf of the patient, when he or she is incapable of making and executing the healthcare decisions stipulated in the proxy. Where is the information for the Patient Portal coming from? 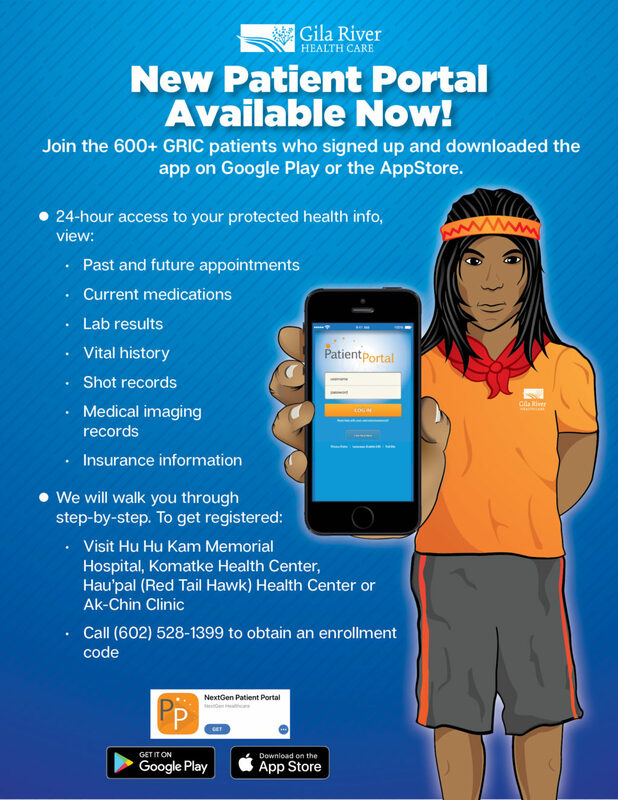 Information for portal comes from the GRHC records database. Will the portal have information about co-pay charges when I am sent out? Ambulance rides? The information in the portal is only related to your GRHC medical records. There is no information about payment or other outside medical services. Proxies? Will they always have required consent? Can family members access my portal? Proxies can be set up with the consent of the patient. For children ages 0-11, parents can be given access through the parents own Patient Portal account. Parental access will automatically expire when the child turns 12. How about healthcare proxies? Can I add my stepchildren as a Care Manager? All other proxies require the consent of the patient and/or a Power of Attorney (PoA) that is in force. Automatic expiration of access by the proxy can be set in accordance with the PoA or in accordance with the patient’s request. Patients may adjust access through their Patient Portal account (either through the website or the app) by going to Settings and Manage User Grants. Can I see my kids’ records in the portal too? If you set up a Patient Portal account for yourself, you can be given access to your 0-11 years old child/children’s records. Is my information safe? What does it mean when information is encrypted? Encryption is a security feature and commonly used by banks to ensue your health information is kept secure and private. Can my Patient Portal account be hacked? The reality is that any computer or system can be hacked, security tools such as encryption help to minimize the potential. Think of encryption as the same type of security measure similar to vehicle locks and alarms that serve as a deterrents. Encryption is a security measure that works to keep data safe. URL stands for Uniform Resource Locator. This is another name for a website address. The URL or web address for the Patient Portal is https://www.nextmd.com. Are all portal features available, or are just limited features available at this time? All features are not available at this time. What if my token does not work? If the token is not working within 10 minutes of receiving it, wait a few minutes and try again. If after 10 or 15 minutes the token is still not working, contact clinic staff to obtain a new token. If I move out of state, can I still access and print my records? Yes. As long as you have internet access you should have access your Patient Portal account and records. Can I change my address in the portal? You may view your address, phone number and other basic demographic information. You may only update your information with the staff at your clinic. However, you may change how you receive notifications either by phone or email. What if I forget my password and/or user name? The password or username recovery is on the login screen and very simple to follow. Can I see all my records? Most all your records will be available. Records from visits that are not completed will not be available. Some details are also not transmitted based on certain privacy best practices (e.g. items related to HIV). What if I don’t have a provider? If you are a patient in any GRHC department, then you can establish a Patient Portal account. If my email address has changed who do I notify? If you are at any GRHC facility, Patient Registration staff can update your record. Otherwise you can contact the HIM department. Once logged in to the portal, access My Account (located in upper right corner), Account Settings, Security Question, Edit.